Finally! 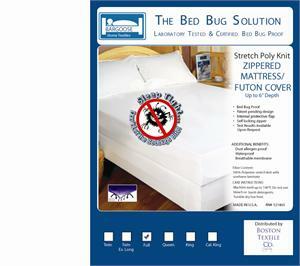 A cover made for futons that will protect against bed bugs, dust mites, and allergens. The stretch knit fabric is soft and cotton-like to ensure your mattress remains comfortable. Fits almost any depth futon, up to 6" deep. 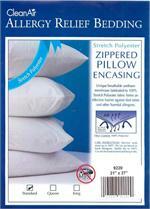 Total mattress encasement with a zipper enclosure. Unlike other covers, NO tape needed to secure or protect the zipper. 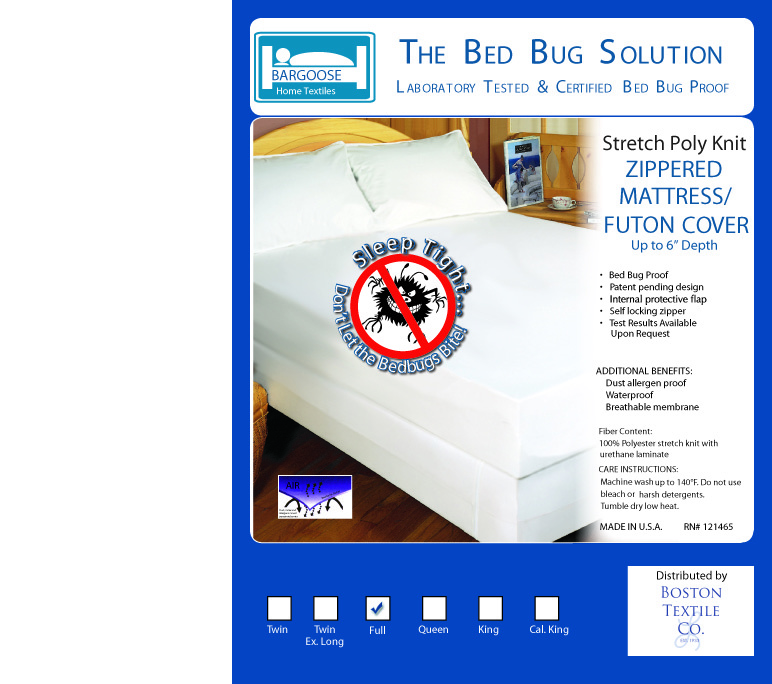 This prevents new bed bugs, dust mites, and allergens from infesting the mattress. If you already have a mattress infestation, this cover will entrap the bed bugs, dust mites, and allergens to prevent future recurrences. Fully certified Bed Bug Protection to help provide you with peace of mind. Hot water wash with regular detergent and no bleach. Air fluff to dry or use medium heat permanent press cycle. Available in Twin, Full, and Queen sizes.